For the purposes of this post, “Vitamin A” = administration. Given this equation, you might assume that I am about to promote an increase in administrative positions. No. Then perhaps more administrative oversight in education? No. Then what? Have patience, this one requires a bit of setup. I have personally witnessed a massive paradigm shift in administrative roles since I began my career in education. Many of the school administrators I first worked with were picked first and foremost as strong managers. It is pretty obvious from where I sit that the recent focus has shifted tremendously toward administrators possessing strong instructional roots. I would argue that this is absolutely one of the best things to happen in the recent history of education. I, for one, applaud this change of tack. I don’t really have to look too far into the past to find a former administrator of mine who was fond of openly professing the fact that he was not a very good teacher when he was in the classroom. I really don’t think I want to say much more about that here, nor do I think I really have to. I am sure the shift toward a standards-based system was the driving force behind much of this. However, here locally, I really do think this shift happened purely because it is the right thing to do as much as anything else. School administrators have long been expected to be strong managers of the people as well as the “stuff” of education. Administrators with proof of strong instructional roots are now being sought for even lower-level administrative positions. School and school district administration now tend to possess a stronger command of pedagogical skills. School and district administration are now in a better position to not only oversee best practices in education, but to model and assess these skills. In a secondary school, this equates to an administration ably equipped to monitor and promote strong instructional practice to go along with the solid content knowledge our teachers tend to possess out of college. So here is the bridge to this argument, and it has two parts. In my opinion we are much better off than where we have come from in the very recent past. Of course I am speaking for my own district here, and any attempt to extrapolate outward might not fit so well. However, I think this is likely to be a nationwide trend. I would love some feedback from my out-of-district readers in the comments below. Is this true in general? However, we still have another shift that needs to happen in short order. Our world is flattening fast and economically we are faltering in many ways as a nation. We need to release graduates in May who are equipped to deal with a rapidly advancing technological landscape. They need to be 18 year-olds who are ready to learn, unlearn and relearn. They need to be flexible to roll with each technological punch the world throws at them. Some of us who work closely with kids today realize that our “digital natives” possess a high comfort level with emerging technologies. However, most lack any depth of proficiency in managing the firehose of information these technologies make available to us. Most here also lack the attention to a framework of ethics that is essential to the widespread use of these now-ubiquitous technological tools. They lack these skills because the vast majority of their experience in learning technology comes with little or no guidance… and it rarely comes at school. Innate comfort builds strong familiarity with some web common web tools. It can also build enthusiasm toward a digital world. However, what it does not provide from the outset is an organized and purposeful approach to the skills and ethics required for life in our increasingly digital age. Our kids get basic content. Our kids nail down the cell theory, figurative language, the civil war and basic mathematical expressions. But can they efficiently and effectively use the digital tools they already prefer to use? Perhaps more importantly, do they possess a nucleus of transferable digital skills that will allow them to roll with the “technological punches” of even the near future? As Will Richardson asks in his article in the latest issue of Ed Leadership, “will they be Googled well? I believe that if we continue to offer basic support for these early-adopting teachers and their subsequent students, we will see many more technology-proficient students in our neck of the woods in the future. But please allow me to suggest that this is not our answer. This is far less than we need. This is far less than our children deserve. Our children deserve the same purposeful attention to technology that we are now systematically providing for pedagogy. Is one less important than another? Is rich content less important than skillful pedagogy? Is technology less important than either content or pedagogy? I say no, no, and no to these questions. I am certainly not the only person suggesting this either. If you have not at least briefly familiarized yourself with TPCK, or TPACK as it is now often tagged, then you owe yourself a read. Mishra & Koehler first proposed technological pedagogical content knowledge as a real and viable framework for best instructional practice. In a nutshell, the best teaching and learning take place when an instructor possesses strong skills in not only content and pedagogy, but also in the technology that is related to both. I scribbled a few words about this here in a previous post. Technology treated as an extra in education is a faulty approach. It has been a faulty approach for decades and I would suggest that it is an increasingly faulty approach now. So how do we get systemic attention to technology in education? I would assert that this level of attention can only come from the top => down. We no longer toss out infrequent PD plans toward effective instructional skills hoping they stick. The “spray and pray” method of PD is slowly being abandoned for more job-embedded approaches to pedagogical revival in our secondary schools. If it is essential, we build it into the day- over and over again. We look for it. We assess it. We empower its spread. I believe that we need a similar approach to educational technology integration. If you are reading this from an administrator’s desk you may ask yourself “we hardly have time for the learning we now stuff into the school day and the overburdened teacher’s mind… how can we add this too?” Here is where I suggest how an investment in increasing the technological proficiency of our instructional staff will pay real dividends across the board. With a technologically-proficient staff and frameworks to facilitate further learning such as online professional networks, we can build a system that will catalyze PD in all areas. I believe that arming teachers with the tools for anytime, anyplace learning -and the essential training required to jumpstart the system- is the way to begin. This model of PD is producing quick successes on a smaller scale at my school where just this year, we launched a technology-integration cohort of 20 teachers. I contend that when the remainder of our staff comes on board this next year, we will grow exponentially as a staff. In my building we have enthusiastic leadership toward this initiative. I believe we have similar enthusiasm elsewhere in our district. In fact, I know we do. The “Vitamin A” that we really need now is for our building and district administrators to truly commit to the guidelines set out in the NETS standards for administrators (NETS-A)*. We need administration that not only advocates technology within curricular adoptions for students (standard II), but also that models technological approaches to enhancing productivity and learning new and emerging technologies (standard III). These standards were adopted in 2002. This was really before Web 2.0 tools were widely available. The NETS standards go through regular revisions. The student standards were updated in 2007, the teacher standards last summer at NECC 2008 in San Antonio, and the administration standards are set for a big refresh this coming summer in Washington D.C. at NECC 2009. In my dreams, this post would be a call to action. It would serve as a gentle suggestion that this conversation needs to flow in both directions. Not only do we need teachers and students making suggestions upward on the chain of command, we need some vitamin A providing nutrition of this type in the opposite direction as well. Sign up. Plan now to go to NECC 2009. Plan to study this idea enough to make you dangerous (and particularly receptive) when the new NETS-A standards are unveiled there. Blog your experience. Join the conversations. They are happening all around us right now, but in wireless waves encircling our heads. Join these conversations that are occurring among passionate folks at both national and global levels. As teachers, we are taking the first steps toward building our “technological health” from the ground up. We are in need of some good, solid vitamin A from above. *The current NETS-A standards as of September, 2010 can be found via this post: The NETS-A Refresh. Chelsea. “”If only it was that simple + 39/365″.” zerba.paperclip’s photostream. 13 NOV 2008. Flickr. 13 NOV 2008 <http://farm4.static.flickr.com/3028/3028300500_cc6e93e0e6.jpg?v=0>. White, Matthew. “FIRE HOSE TRAINING.” US DOD Homepage. 23 APR 2008. US Department of Defense. 13 Nov 2008 <http://www.defenselink.mil/dodcmsshare/homepagephoto/2008-04/hires_080421-N-1251W-006c.jpg>. Previous Article← And what do we teach our children? First of all, thank you for giving more information on TPCK. It’s one of those new acronyms that I’ve seen tagged, and I wasn’t exactly sure what it was. It gave me an aha, as to the purpose of the problem-based learning via technology. Having administrative support to learn and integrate technology has and will continue to be been invaluable. I agree that we need to find a way to systematically assist teachers throughout the school year in increasing their skills in technology and how it correlates to improving pedagogy and content knowledge. Administrative support on this issue is a must. Thankfully, I know Truman has it! I talked with my students last week about how “Googable” they are right now. As my 8th graders increase their use on our Ning, I want them to learn appropriate ways to add content and make comments to others. I see that their knowing that future teachers, adminstrators, and community members are part of our target audience has changed they way they write for discussions and comments. After tossing this post around over the weekend I think I can finally get my head around it. Maybe. First, my personal response, then my professional observation. 75% of college students have a Facebook profile and most of them check it daily. Now while all of this information probably seems trivial, it is an attempt to make a point. I represent a very different generation of eductional leadership. I don’t carry any baggage of what always was. My schema doesn’t allow for the way things used to be. My only insight into the past is through the eyes of my colleagues. That being said, I view this “shift” from administrators as managers to instructional leaders as common practice. When I became and administrator, a few short years ago, I knew nothing different than the expectation that I was to be a learning leader. Period. Perhaps one of the challenges that I face as a leader, and many of my generation will in the future, is that as we mingle with other administrative colleagues, we do not come with the struggle to embrace the new emphasis on instructional leadership while still validating the practices of the past. Rather, many of us simply assume that this is how life has always been. Administrators should be instructional leaders. During my first year in administration, this juxtapositon of traditional manager and instructional leader hit me between the eyes. I was caught in the middle of the shift. I had shifted not knowing it, while the staff was starting the shift, knowing it, and very unsure of what it meant. Fast forward three years. The shift is beginning to sink in. In fact, I believe some might even agree that it is in its institutionalized infancy. Instructional leadership is now the way that we are expected to do business in our district. But what is our next step? The call to action in this post is one of the most challenging chapters that I believe our district will face. 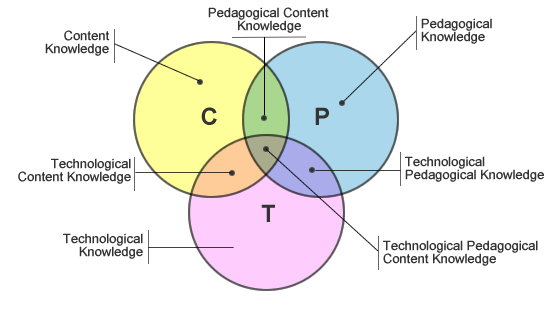 Connecting best practices in content knowledge, pedagogy, and technology will truly be a dynamic paradigm shift for our district, but one that must occur with a sense of urgency. Our students deserve no less. I’m on board and there are others like me who are cautiously optimistic that we are about to engage in the next major district-wide initiative to enhance our best practices. But it will not be without leadership. And I agree that there must be a vision. So who will articulate this vision for 21st century best practices? Who will provide the leadership? Who will make it a priority? I appreciate your insights especially as one of our younger principals. No doubt that provides us with a diversity of input on any issue you decide to weight in on. I am happy this one is on your radar. In reference to “millennials” or GenY, etc… there is a really slick little video posted on VSS just yesterday: http://virtualsouthside.ning.com/video/video/show?id=2126556%3AVideo%3A7182 Check that one out. I do believe that this generation possesses a fearlessness towards technology. In my opinion, that can be parlayed into great gains. However, your grasp of technology on a working professional level is what these kids have little experience with. That is the sort of thing… if allowed to continue… we are to hold ourselves to blame for in the near future. And hey- glad you liked the Will Richardson article in Ed Leadership. That is actually the one I linked to above. Thanks again for taking the time, Corey. I am glad we have your focus for the future. Clearly a thought provoking piece of writing. Coming from an adminstrator who makes it her life’s work to engage every day with students who frequently make choices not in their best interest, you pose questions that merit some deep thought…. but also a sense of urgency. Our students are using these avenues of communication, and, for the most part using them without any appropriate guidance. The more I read, the more I realize the urgency with which we can no longer stick our heads in the sand on this issue. Thank you Sean, for opening my eyes.